The best part of my week was my date with my four-year-old nephew who I took to dinner. 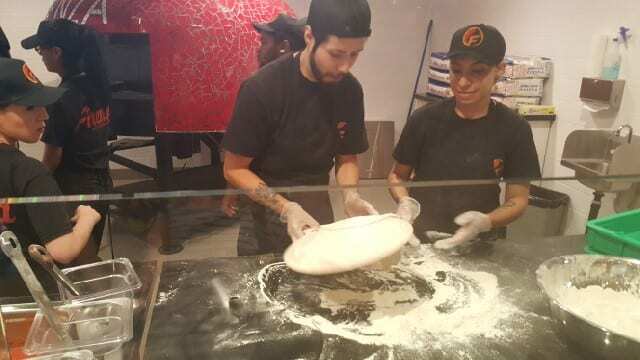 We went to check out the new Firenza Pizza that opened in California Plaza food court in downtown Los Angeles. Casual, tasty and approved by a four-year-old, Firenza Pizza is the Please The Palate pick of the week. We headed downtown in rush-hour traffic to go to Firenza. 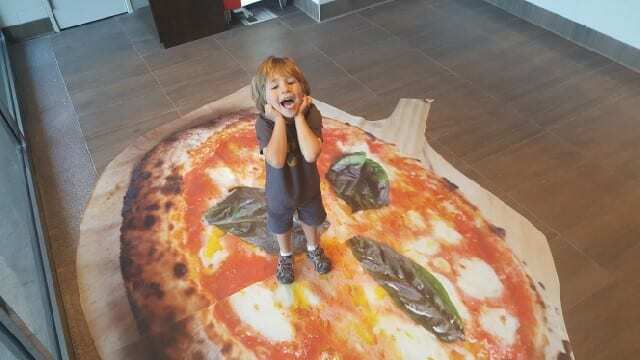 At the entrance, the floor is covered by a giant pizza which was really fun to stand on. 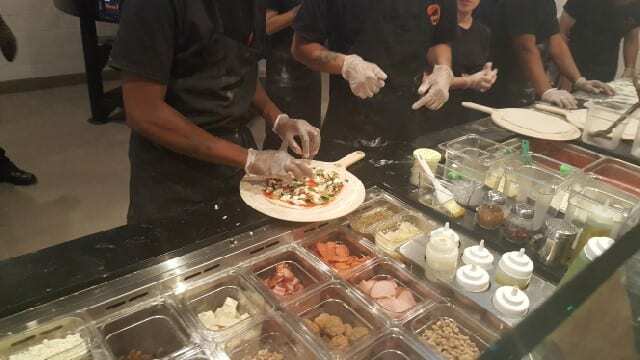 We then headed to the counter to select our pizzas. 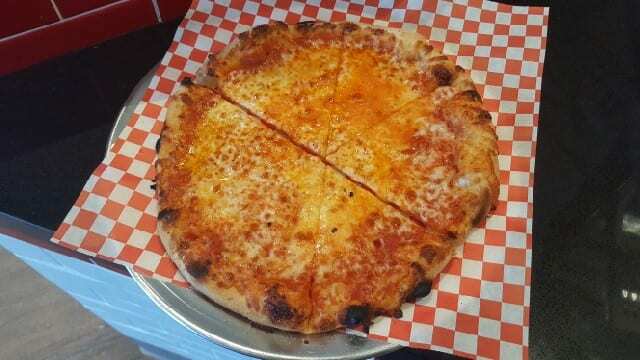 Firenza Pizza produces personalized pizzas in 90 seconds or less. 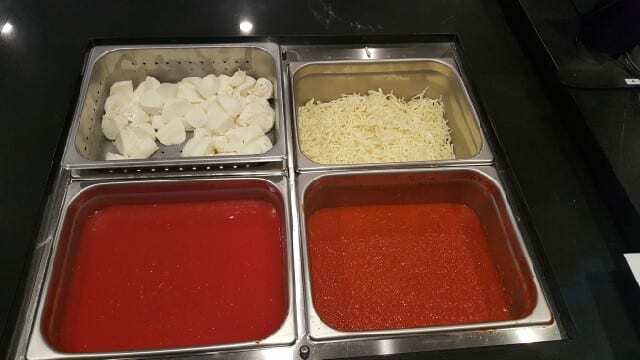 You start with the pizza dough station, where you can select gluten-free if you want. Firenza Pizza uses “00” flour imported from Italy. For me, the key to pizza is the simpler, the better. 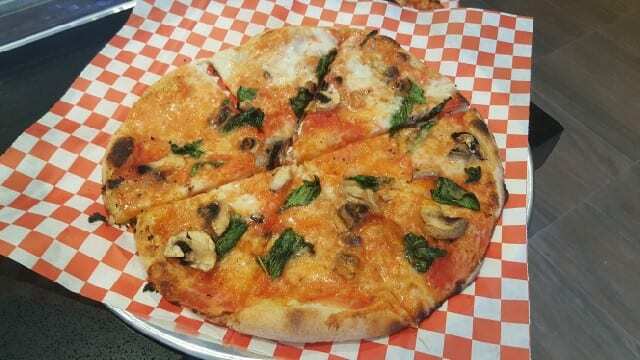 I opted for a magherita pizza and added fresh mushrooms and my nephew picked a cheese pizza. 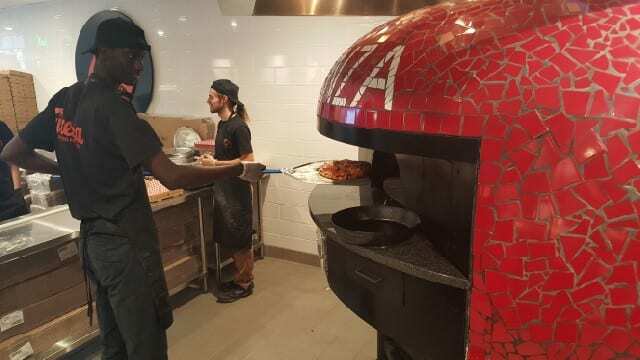 Once made, the pizzas are placed in the oven which is a combination of wood-fired and gas which means that the 800 degree temperature can be consistent during use. 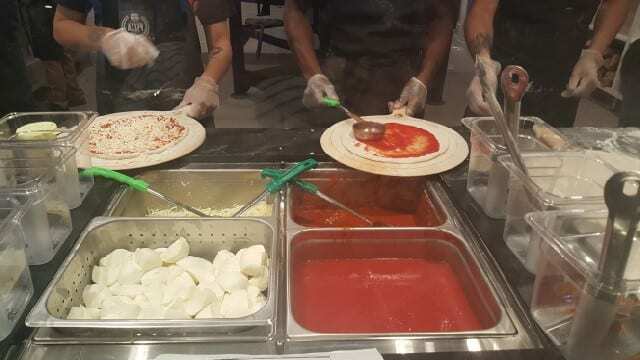 90 seconds later and your pizza is ready. I am partial to Italian pizza which understands the balance between the crust and the toppings. And, let’s not forget how important it is to get the dough right. The dough gives the pizza its texture and holds the flavors. 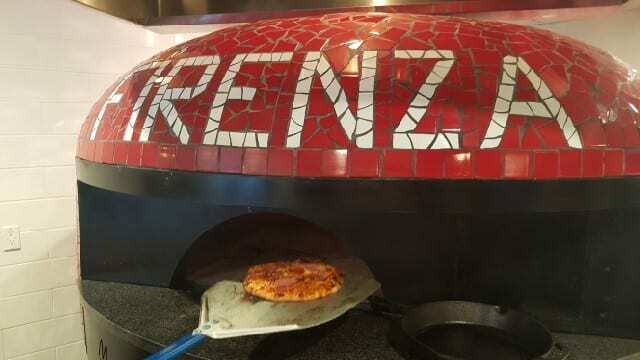 Firenza Pizza is inspired by the pizza in Napoli, Italy and I really enjoyed the just thin enough crust that was not too thin and not too thick and had a good crunch. 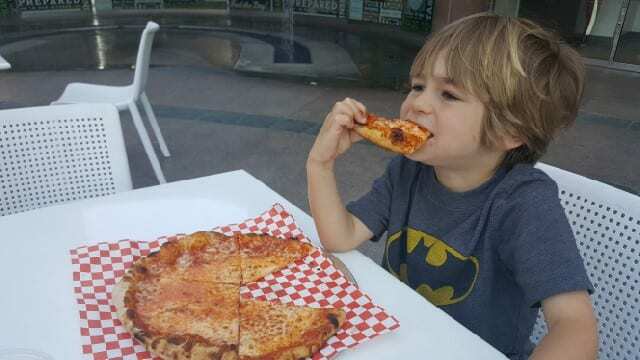 Of course, I could tell how good it was just by watching my nephew eat it, and that is why it is the Please The Palate pick of the week. There are also locations in Fairfax and Alexandria in Virginia, Charlotte and Ashburn in North Carolina, Los Gatos in California, Louisville in Kentucky and Green Bay in Wisconsin. 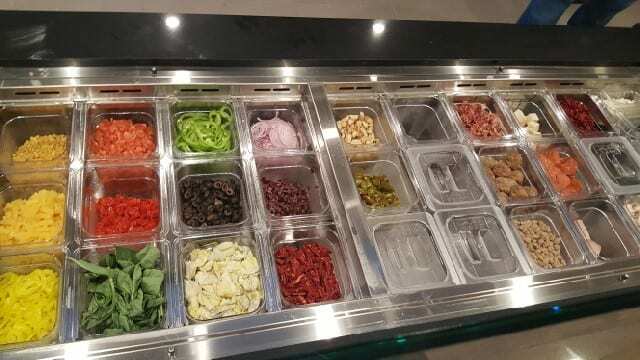 This entry was posted in Food and tagged Firenza Pizza, food, pick of the week, pizza, Please The Palate by Allison Levine.